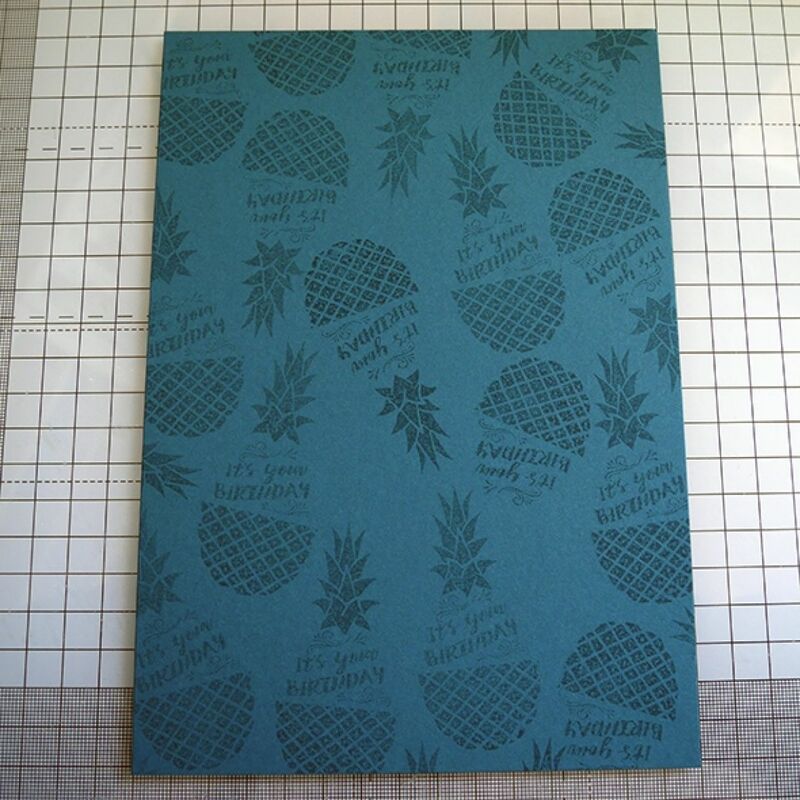 I started off by using all my colours to create my pineapple file. 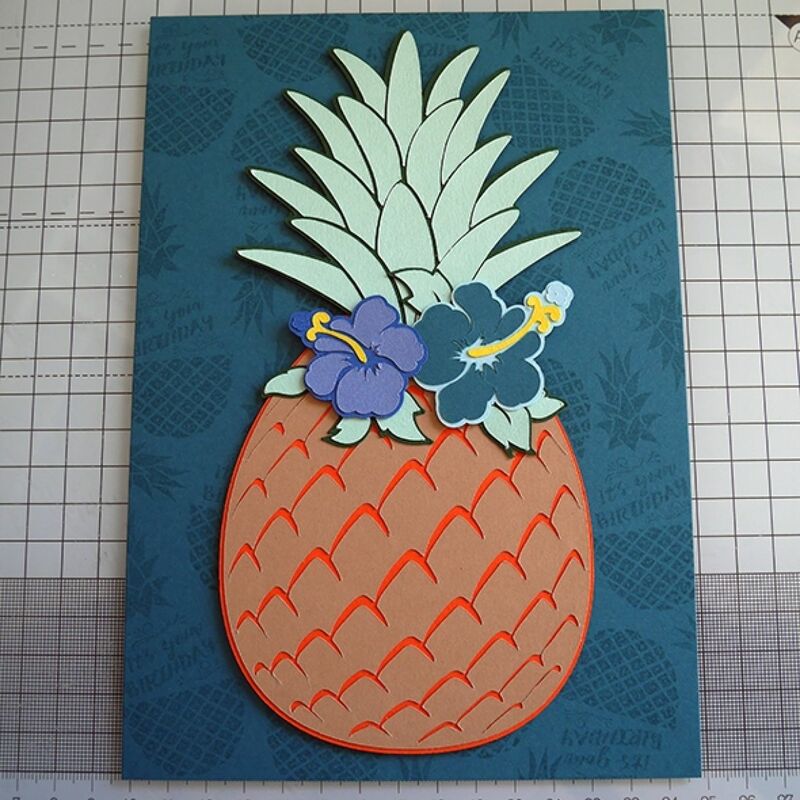 This would normally be small, but I sized it right up and cut it big! 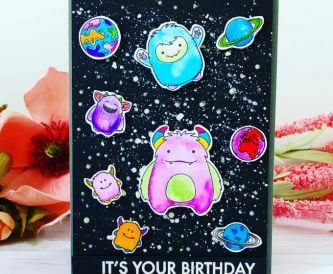 I made it almost the full size of the front of my card. 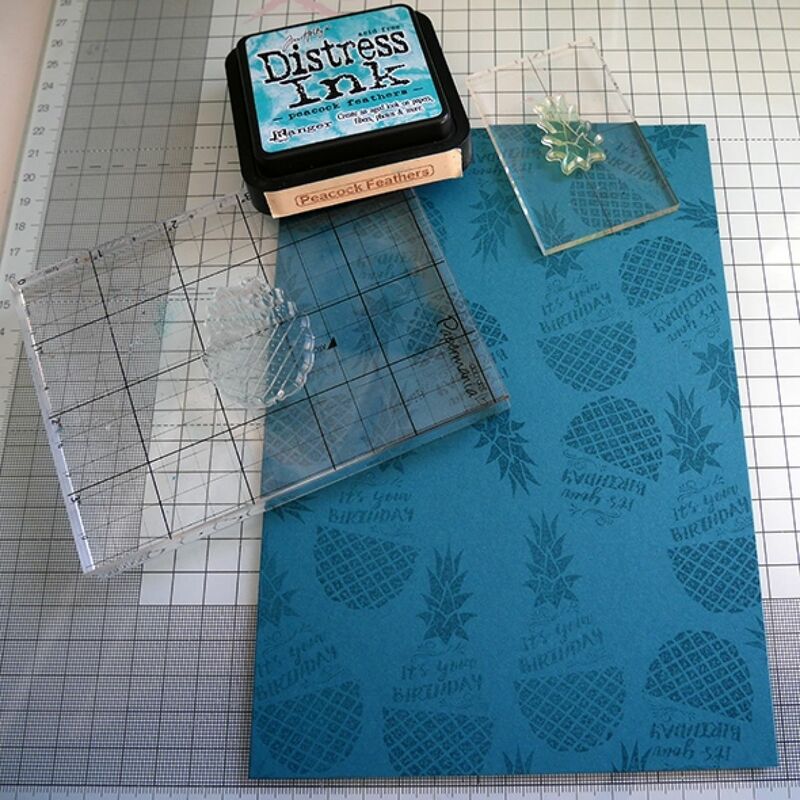 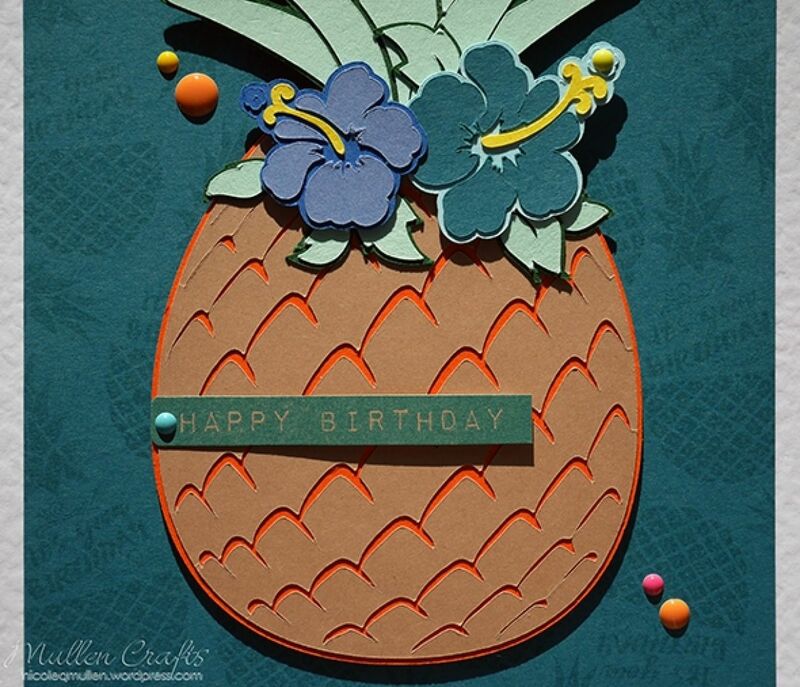 I then used Peacock Feathers distress ink to stamp a pineapple Happy Birthday stamp on the card base. 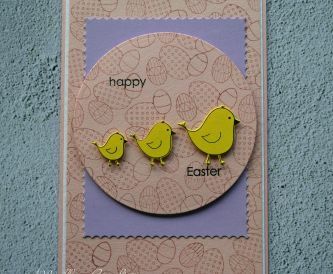 I chose this colour as it is close to the card colour so it gives a tone on tone effect when stamped. 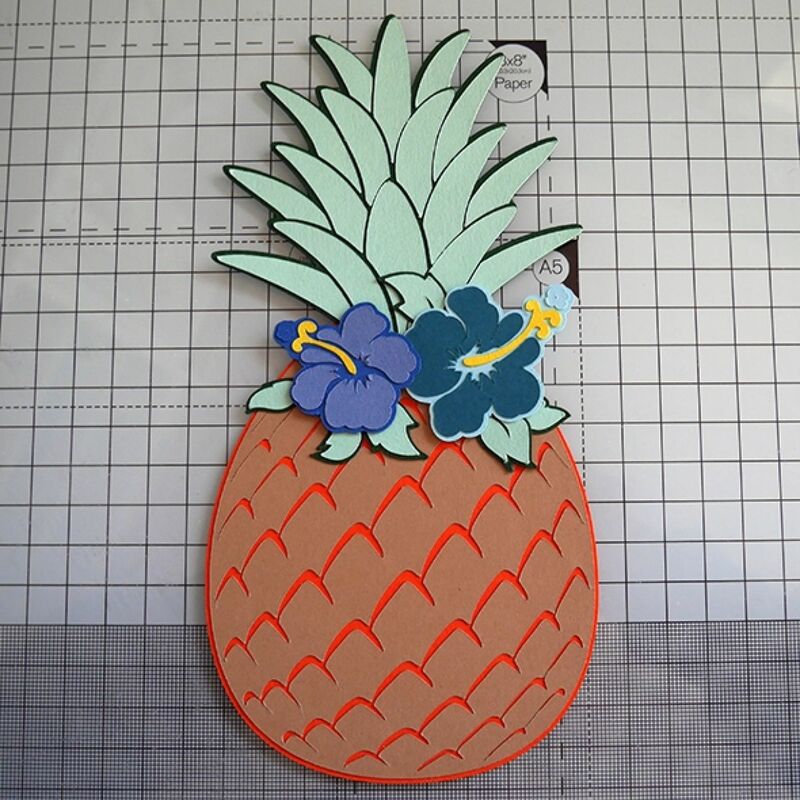 I then stuck my giant pineapple on top with foam tape for lots more dimension. 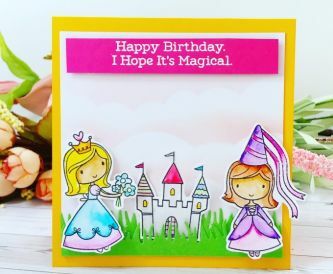 I then embellished with some enamel dots, and added a label style birthday sentiment and it was done. 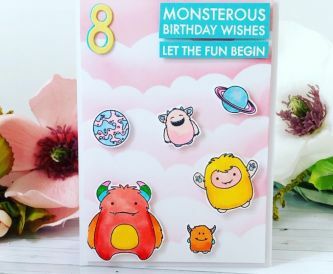 Fun, summery and sweet, all the things you want in a birthday card! 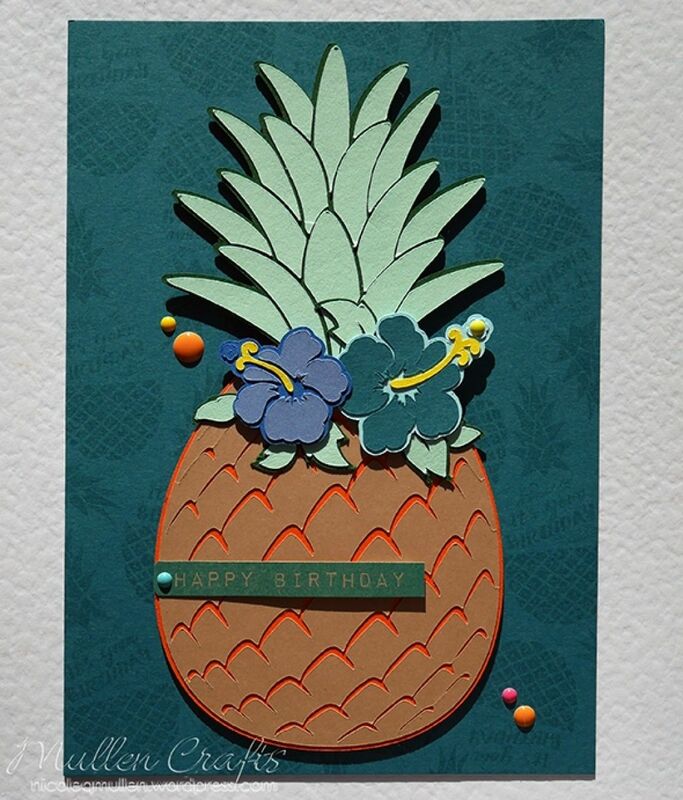 I think that could be the nicest pineapple card I have seen.